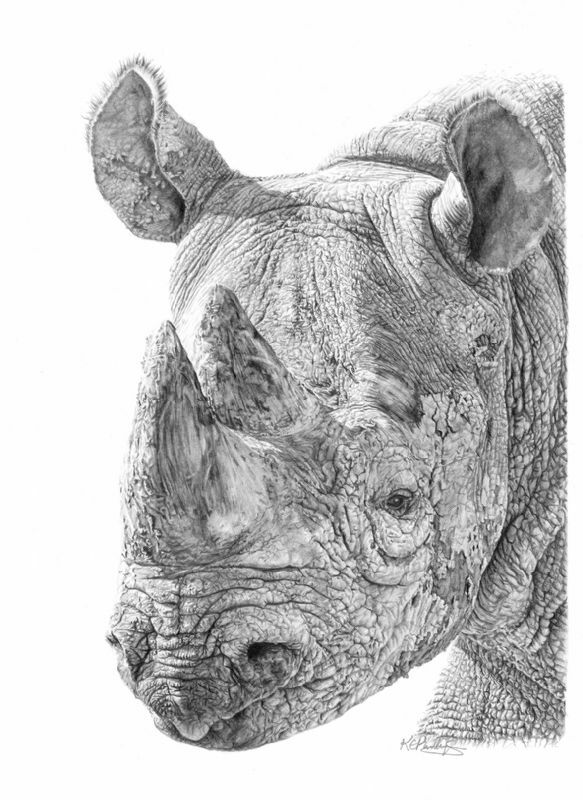 Highly detailed, one-off original pencil artwork of an endangered Black Rhino. This artwork shows the details of the Black Rhino's skin but also the dried mud in which the Rhino is covered. This original artwork is currently not for sale.